Plastic surgery is the solution for full renewal. You'll get World-Class service and better overall cost than Western-European price even when combined with travelling cost. You will have continuous communication by video connection with your specialist. Before the 1st consultation you’ll have the possibilty for a pre-survey through sending us your encrypted photos. It's also important, that you will be satisfied not only with our Plastic Surgeon but also with your visit in Hungary. We assist in making your visit easy and pleasant by offering to help you organize your stay from arrival till departure. Your visit can be connected to a sightseeing trip in the beautiful city of Budapest. Our specialist personally assists you from the 1st consultation till the end. Our specialist is directly available during the complete process. 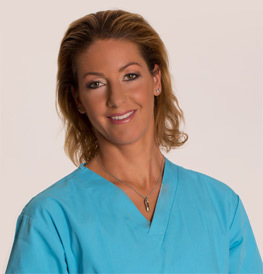 Dr. Bernadett Lévay is the 1st female Hungarian doctor who has passed an EBOPRAS special examination so she is an authorized plastic surgeon in every European country. Among other works our plastic surgery specialist teaches basic operative techniques in practice in SOTE University. Look at her career development! Number of fans of our Facebook page: . All prior consultations are free! in my skin, as I do now." Are you interested in the result of breast augmentation? Look at our pictures before and after! "It was very good to feel your care in days after the operation and to call you whenever I wanted to ask for your help." "She is ours - Doctor Lévay who has magic hands!" "I told you my needs and you achieved them at not only 100% but 1000%." "I feel myself young again! Thank you!" Our plastic surgeon will inform you about your specific possibilities and compare them to your conceptions so that you will be pleased with the final result. Do you feel more comfortable working with a lady-specialist? Turn to Dr. Bernadett Lévay for assistance! Prior to and following the surgery, we will provide you with all the information and help needed to make the process as simple as possible. After the operation, we’ll meet you regularly to monitor your progress. In order to get the best available quality, our specialist uses the leading surgical techniques and regularly participates in the most prestigious professional trainings. now with a 35% discount! Look better together and save 20%!